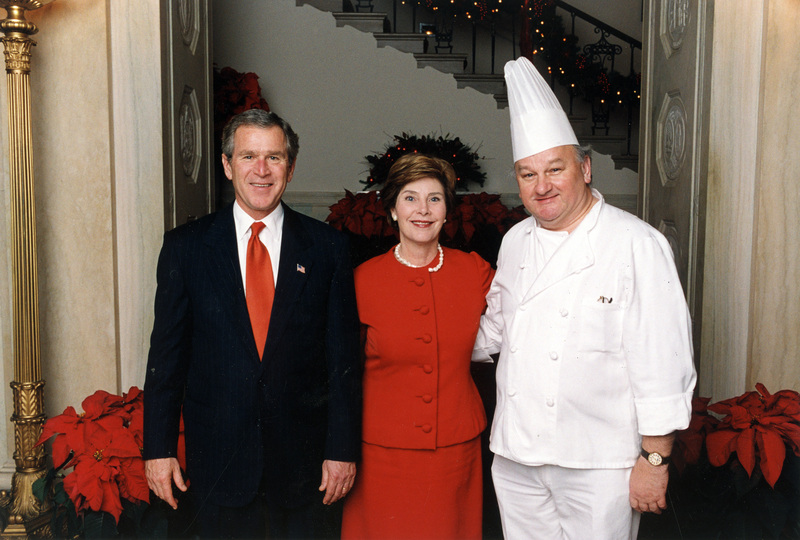 Former White House Pastry Chef Roland Mesnier served 5 US Presidents, as well as over 40 queens, kings, princes, princesses, and heads of state. 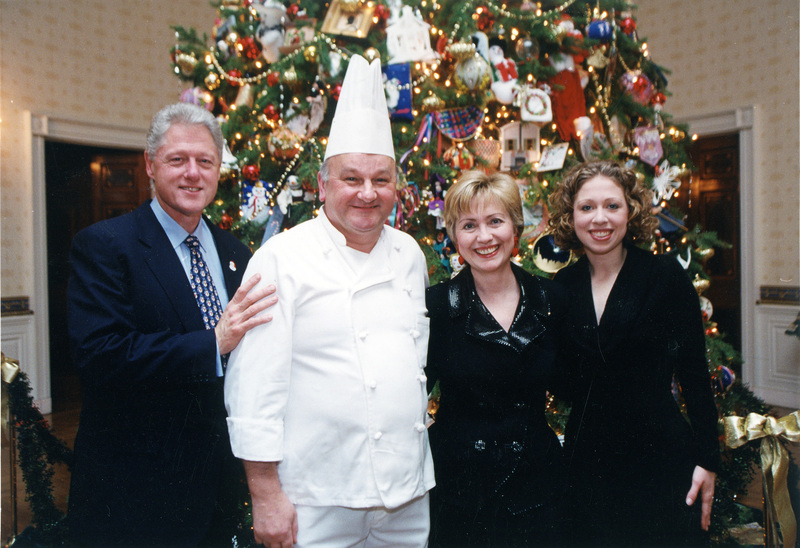 He is the longest tenured White House chef ever – pastry or culinary. 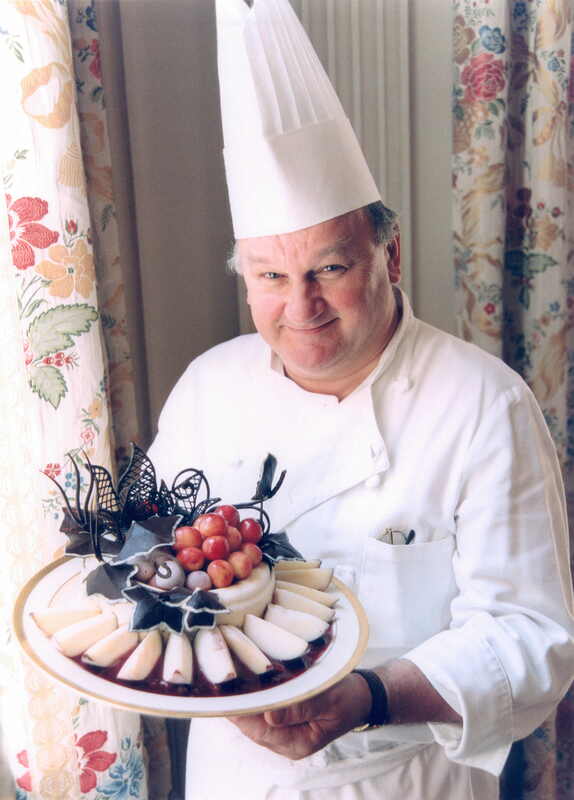 Chef Mesnier has won 18 gold medals, 4 silver and 3 bronze for his pastry creations in competitions around the world and was inducted into the Chocolate Hall of Fame in NY in 2005. After spending 25 years in the White House, Roland went on to author several books. His next due to hit shelves in Oct. of 2015. He continues to travel the U.S. and the world giving speeches, judging pastry competitions, and participating in fundraising events. Impressed yet? Yeah, I thought so. To say I was excited for the opportunity to interview Chef Mesnier is an understatement. Being able to learn more about such a culinary legend brought me back to the early days of my own pastry career. It reminded me why any of us jumps into this crazy whirlwind of a profession. That food truly is the great equalizer, providing those with a strong work ethic, talent, and dedication a window into parts of the world that few others get to see. No matter our backgrounds, political views, or beliefs, we’re all still human. Humans that love a good strawberry shortcake every now and then. I hope you enjoy reading my interview with Chef Mesnier as much as I enjoyed doing it! He shares fun little tidbits about his time in the White House, some Presidential favorites, and advice for young pastry chefs today. In all of your years at the White House, what dessert or cake are you most proud of or is most memorable? 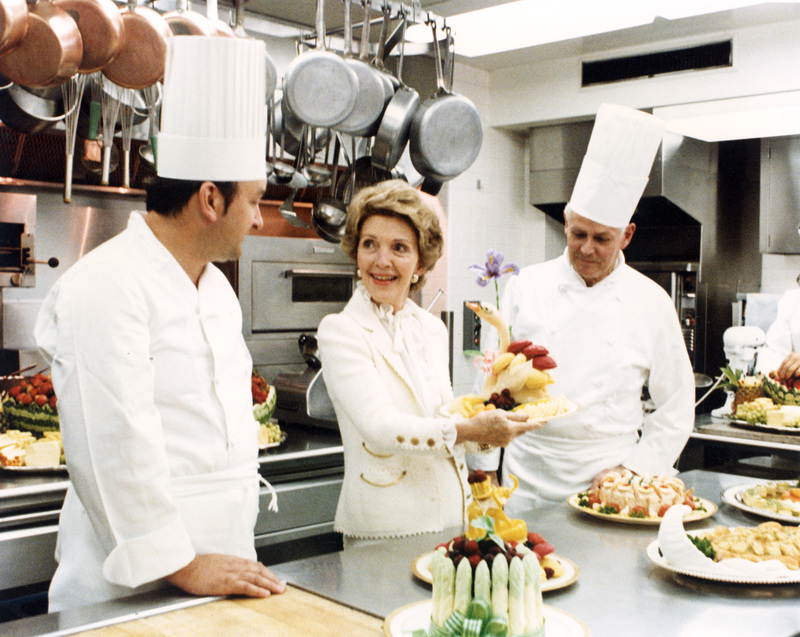 I created such a large amount of desserts and cakes over my 26 years at the White House. My biggest worry was that they would get bored with my work. Every one of the presidents had a cake or something that he preferred. I tried not to do the same desert twice. President Carter loved my chocolate dome cake covered with dark chocolate and nuts, and on President Regan’s birthday, he always requested what he called his “crunch cake” with almond meringue with a chocolate and hazelnut filling. Which President had the biggest sweet tooth? And what was their dessert of choice? President Clinton absolutely loved dessert – any shape or form, but there was a challenge: He was allergic to many, many things, like chocolate, butter, and dairy products. That doesn’t leave the pastry chef very much to be creative with. So I created a love of fresh fruit desserts. Can you reveal any interesting or unusual dessert requests made of you while you were in the White House kitchen? I received very few requests at the White House, but on some occasions I would. One particular year during Clinton’s administration, we were celebrating St. Patrick’s Day at the White House – this was always a big to-do with 300 people and I would always reproduce as many Irish desserts as I could – and one year, I was asked by a Sen. Kennedy to make Green Bean Sorbet. This was the most disgusting thing I’ve ever done in my life! The guests who tried it did not look like they were in heaven. Needless to say, that was the first and the last time Green Bean Sorbet was asked for. Have you ever had a baking disaster or a “cake wreck”? If so, how did you bake your way out of it? When you are at the White House, I noticed that “oops” should never be used at any time. I always double-checked and triple-checked the recipes and the outcome and if there was an imperfection, we just did not serve it. That was my philosophy. 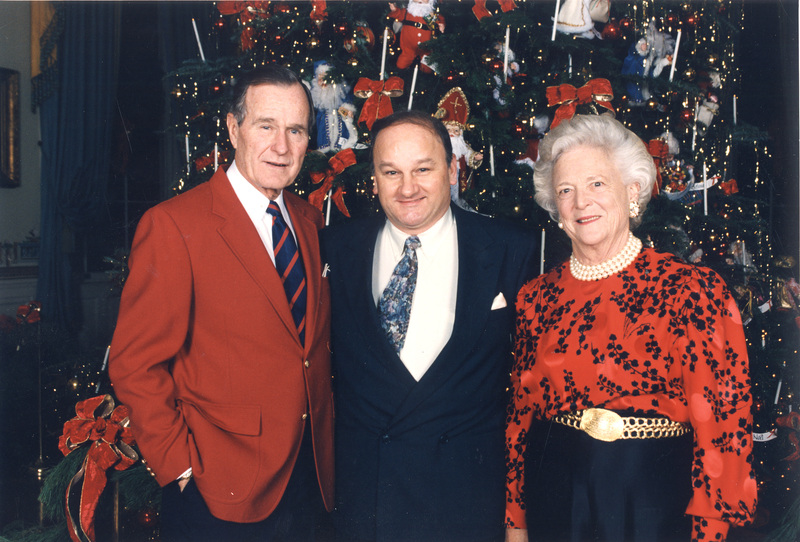 But we came close to a problem once – getting ready for a dinner at the White House for the Queen of Denmark during the Bush Sr. administration. I was making hot raspberry soufflé – large servings. We were whipping the egg whites and they would not come up. And the guests could not wait! So we had to start all over again, but they weren’t coming up again. I was thinking this was my last day at the White House. I would be fired. I changed the recipe mid-course. I had no time to cook the sugar, so I added in regular sugar to the eggs to buy me 20 minutes. I had never done this before. Then I put the soufflé on a baking pan with a little water at the bottom and put it on a burner – full blast. This pushed the soufflé up and gave me a head start because the concentrated heat from the burner was three times the heat. My experience saved me that day. What is your favorite dessert to make for a crowd? In the summer, there is a picnic at the White House and all of Capitol Hill is there – 2,500 to 3,000 people attend. I would make baking sheet-sized strawberry shortcake with whipped cream and ice cream. Everyone always loved that strawberry shortcake. Can you share the best piece of baking advice that anyone has ever given you? Be true to yourself. Don’t try to reinvent the wheel like many chefs are doing today. And stop congratulating yourself. Let the customer do that. That’s where the real congratulations will come. That’s the advice I would give a young chef today. What pastry and baking tools can you absolutely not live without? There is one tool that has followed be around the world, one that I have been using for 50 years: A brake line to a car. It’s roughly the size of a pencil in diameter and 8-inches long. I use it to make my blown sugar. It’s 11pm, the fridge door opens, what are you going for? A nice piece of apple pie – with the right amount of acidity – not too crunchy, but not mushy, the dough flaky. If I can get that, I’m so happy. 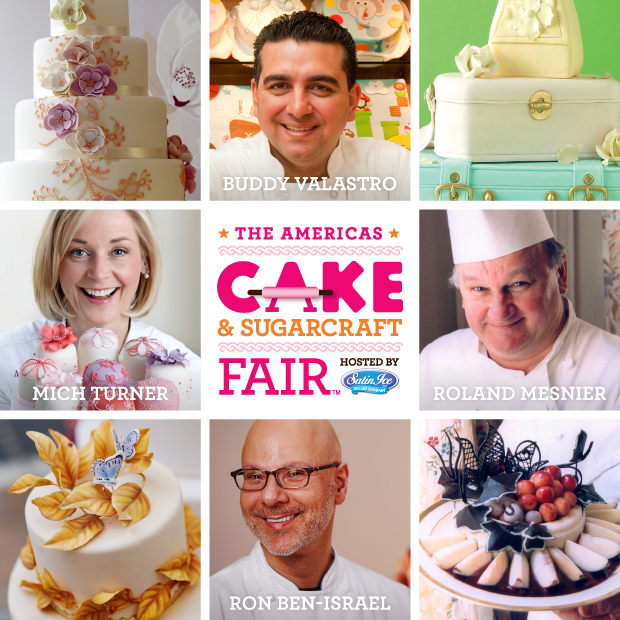 Visit http://cakeandsugarcraftfair.com for appearance dates and times.